The first 10 days after [Pamplona] – on the hike – were pretty miserable. My left foot constantly throbbed, until it blistered up and got tough. But the day off in Burgos helped a lot. And since then we’ve made good progress. Still, we had to implement a Plan B, which involves renting bikes in Leon and cycling the remaining 194 miles. To make a long story short, we covered the last 195 miles or so in seven days, riding mountain bikes, complete with panniers on the back. In other words, during the first two-thirds of the trip we averaged 12 miles a day, hiking. In the last seven days we averaged closer to 28 miles a day. You can get a better idea from the map at the top of the page. It took ten days to hike from Pamplona to Burgos, where we too our first day off. It took another 10 days to reach Leon, where we took our second day off and picked up our pre-ordered bikes. 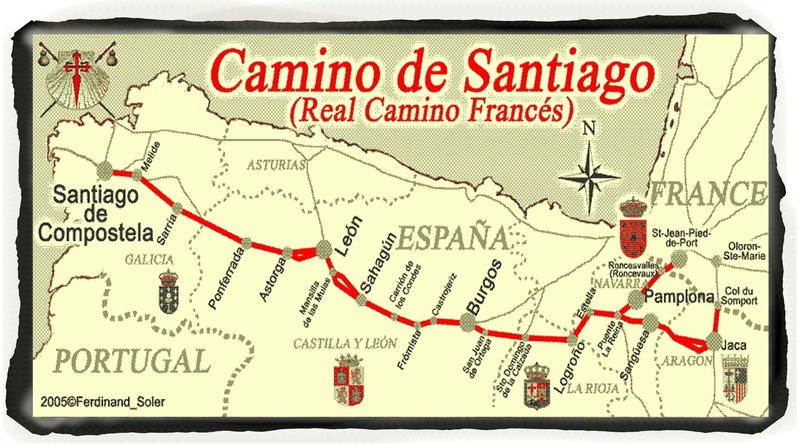 Then that long section from Leon to Burgos – some 195 miles of the 450 – we covered in seven days. The third major mishap came a mere six kilometers from Santiago, when my rear tire when flat. So my brother had us switch bikes, and we both glided – carefully and gingerly – into Santiago. There’s No Place Like Home!! The upper image is courtesy of Camino de Santiago 800 PROJECT: Map of the Routesilverarrow18.blogspot.com. The “Tipperary” image is courtesy of It’s a Long Way to Tipperary – Wikipedia. “Note” also that an asterisk in the main text indicates a statement supported by a reference detailed further in this “notes” section. Thus as to the asterisk next to the passage “the 21 days since we left on September 13:” We actually reached Leon on October 4. 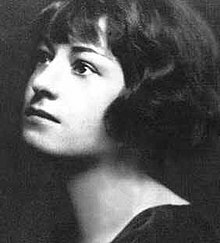 Re: “Different kind of hell.” The allusion is to Dorothy Parker‘s famously saying – whenever the door rang in her apartment – “What fresh hell is this?” That’s also the title of Parker’s 1989 biography by Marion Meade. See Amazon.com: Dorothy Parker: What Fresh Hell Is This? Re: “Some poor slob’s nice new car.” City streets in Spain are generally very narrow and difficult to maneuver. The “bicycle in a ditch” image is courtesy of Cyclist falls into ditch at opening of new safer bike path …telegraph.co.uk. The lower image is courtesy http://f3nation.com/wp-content/uploads/2014/07/no-place-like-home.jpg. See also No Place Like Home – Wikipedia, which noted that – aside from the famous line in the movie Wizard of Oz – the phrase may also refer to “the last line of the 1822 song ‘Home! Sweet Home!,’ words by John Howard Payne and music by Sir Henry Bishop; the source of inspiration for the other references here: ‘Be it ever so humble, there’s no place like home,’” and/or “‘(There’s No Place Like) Home for the Holidays,’ a 1954 Christmas song most famously sung by Perry Como.” For a “live” version, see also There’s No Place Like Home – YouTube. This entry was posted in Travelogs on October 23, 2017 by bbj1969per@aol.com.